Amid tight controls on the flow of information, radios in North Korea come with their dials fixed to government-controlled broadcasters. But risk-takers willing to defy the regime reset their dials behind closed doors, trying to catch signals from the US, UK, South Korea and Japan that float across the border every night and slip past state censorship. It is illegal to listen to foreign broadcasts, and they are often jammed by North Korean authorities, but they rank as top sources of information in the country after word of mouth, according to a 2015 Broadcasting Board of Governors survey of North Korean refugees, defectors and travelers. Among a dozen overseas stations beaming into the Hermit Kingdom, US-funded Radio Free Asia, has been broadcasting in Korean to listeners in the North for the last two decades. Many North Korean defectors, including the country’s former senior diplomat Thae Yong-ho, cited the glimmer of the outside world they encountered on RFA as an influence in their decision to leave their homeland. “Our goal is to not to instigate people, but to objectively deliver what’s happening outside the isolated nation, helping them make informed decisions about their lives in North Korea,” Oh Joong-sok, RFA’s Seoul bureau chief, told the Korea Herald. RFA Korean has been filling in the information not available from state-controlled domestic media, ranging from news about government corruption, human rights abuses, food and health crises in the country, as well as the conditions of refugees in China, the lives of defectors and the labor conditions of North Korean workers abroad. RFA’s exclusive coverage of goings-on around the secluded state, which is frequently cited by South Korean and global news outlets, is made possible by around 20 North Korean defectors on staff, many of whom still communicate with their sources within the country. Oh added that RFA, while funded by the US congress, is an independent corporation with its own editorial board that is insulated from the burden of representing national interests in its reporting. In a bid to comprehensively present diverse aspects of the world surrounding North Korea, RFA Korean’s programming is not limited to informative news, but also includes K-pop shows, dramatised narrations of Orwell’s “Animal Farm,” and a casual talk show with a defector on the differences between everyday life in the two Koreas. 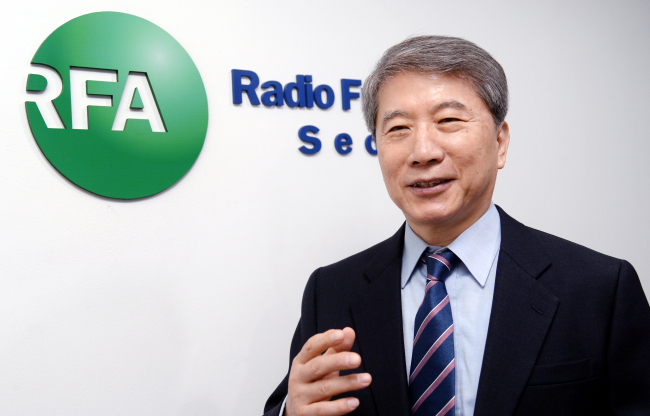 On top of diversifying its radio programming, RFA Korean is eyeing video as a new medium. A series of RFA-produced documentaries on re-settled defectors were posted on YouTube in August. “The thirst for a new kind of information is growing uncontrollably among North Korean citizens. In light of such growing demands, we’ve recently launched a YouTube series, though internet access is still a distant luxury for our target audience. We are striving to be resourceful and will be possible to reach when the time is ripe,” said Oh.